Create the optimal synergies between different technology platforms streamlining their deployment towards Tb/s-scale, high-performance, low-cost and low-energy optical interconnect components and sub-systems. Address optical interconnects in a holistic way and deploy the necessary design- and process-level framework for translating individual interconnect component- and subsystem technology advances into true system-level performance, cost and energy benefits. Develop high performance, low-cost and low-energy generic building blocks that can be used for a broad range of applications along all relevant optical interconnect hierarchy layers. Deploy a whole new class of high-performance intra-chip optical/electrical TSVs and chip-to-board / board-to-board interfaces. 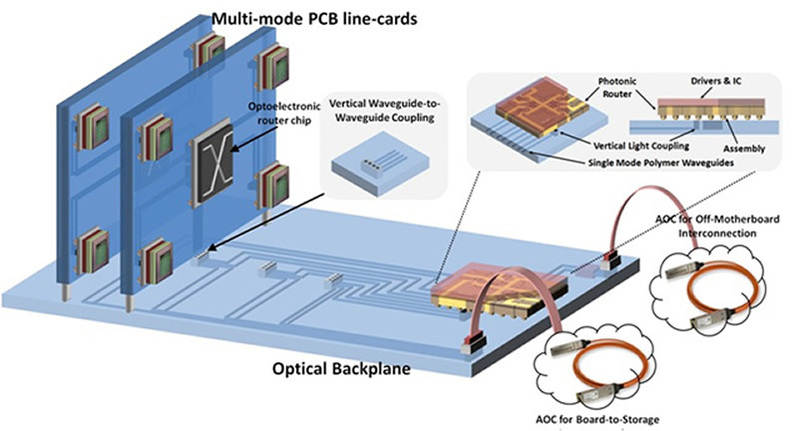 Deploy a unified integration/packaging methodology for board-adaptable 3D System-in-Package (SiP) transceiver and router optochip fabrication. Establish Optical Packet Switch Transport (OPST) and Advanced Modulation Format concepts as performance-enhancing and energy-reducing principles in the domain of datacom device technologies. Bring European research and industry at the fore-front of the optical interconnect field through road mapping, dissemination and training activities, strengthening its collaborative framework with DataCenter and HPC organizations.